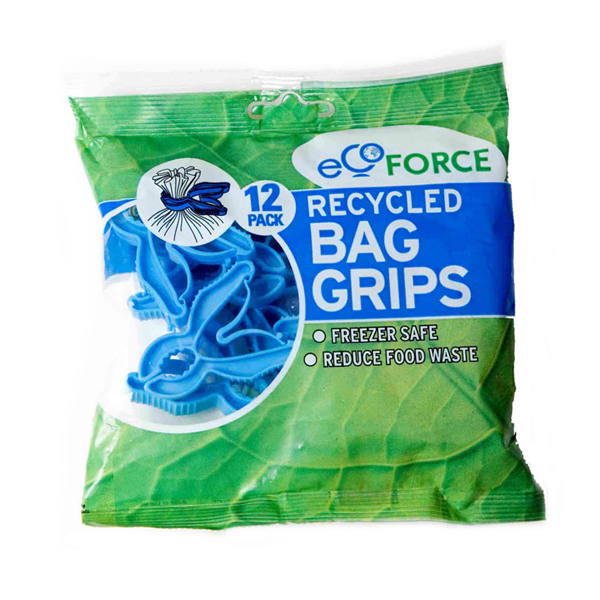 EcoForce Recycled Plastic Bag Grips are design and made in the UK from at least 93% recycled plastic with a mixture of pre and post consumer waste. Almost unbreakable these handy grips are perfect to have around the house. These grips are no rust or stains, freezer safe, easy to store, easy to use attach and detach and supplied in bags of 12. Each bag grips made from recycled plastic. This saves oil, energy and product miles used in manufacturing virgin plastic, reducing your carbon footprint. Making recycled plastic uses 70% less energy than making virgin plastic. 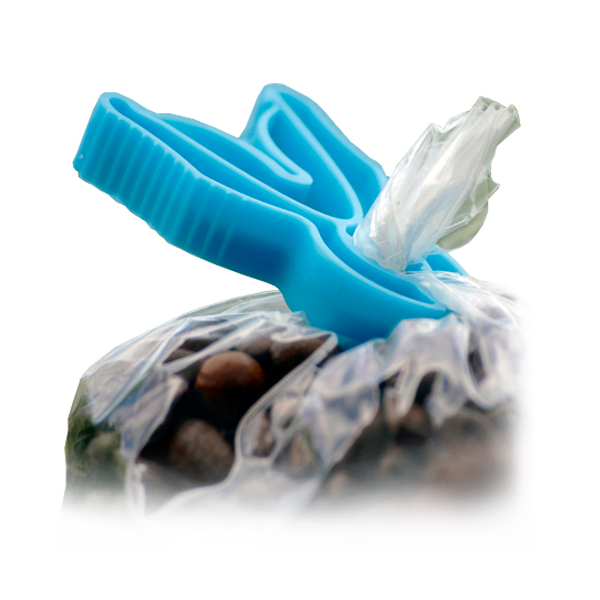 EcoForce recycled plastic bag grips can be used on almost any bag. These multipurpose bag grips are the perfect kitchen accessory for the environmentally conscious. 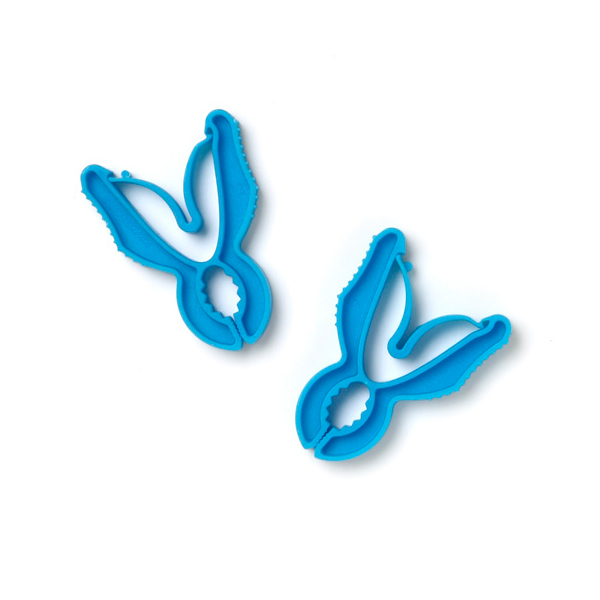 Helping you to reduce food waste by keeping your food fresher for longer, these handy grips are also freezer safe and suitable for sealing up any food bags that you want to freeze. If by any chance the grips get dirty they can be washed in a bowl of soapy water or in the dishwasher or washing machine.